A review written and published by Richard Brownlie-Marshall on his Travel blog for the Huffington Post (UK), 3 May 2016. It was my first time to Hong Kong and I didn't really know what to expect before arriving. After taking a quick trip to Google, the city appeared as tall buildings, bright lights and a scattering of boats. When visiting the destination in real-life, I realized it scored very highly in all these areas, but there was definitely a lot more to this place. Here are my top 5 sights and experiences that I believe make Hong Kong an amazing holiday destination. 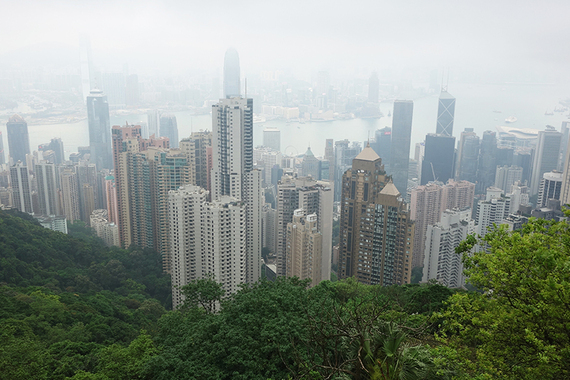 On mentioning my trip to Hong Kong, the number one recommendation was to visit Victoria Peak, and they weren't wrong. This is a great view over the city (weather permitting) and again involves a great journey to the top. Although everyone talks about the Tram, I actually took bus to the top, which was a long and winding road, giving a great perspective over the city. From here there was a great view, but being the explorer I am, I wanted to continue on further, to the Victoria Peak Garden. After a brief walk, I realized the view would be that of clouds, a lot of clouds. It created a very mysterious and dramatic mood - I felt as though I had been transported to Brigadoon. I returned to take the Tram journey down the hill, which was fun and steep way to be transported back to the city. 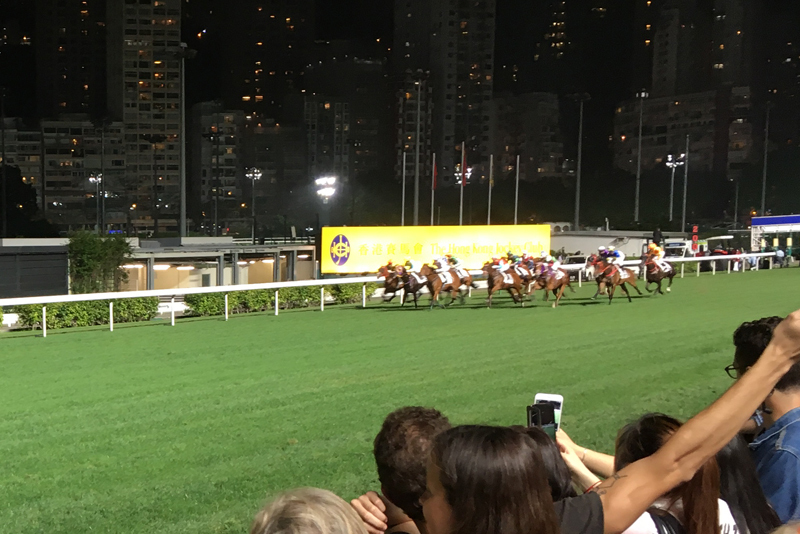 I was staying in an area of Hong Kong called Happy Valley, which has a huge racecourse and every week they have an event called Happy Wednesday. I went along for an evening filled with food, entertainment and horse racing. There was a great atmosphere and a real mix of people enjoying the night. It's the kind of place where everyone can get involved, and certainly a great night out in the city. This was certainly the high point of my trip, and it was one of those experiences where the journey is almost as spectacular as the destination. On the journey to the top of the hills, I took the Ngong Ping Cable Car, which is a visually stunning 25-minute ride over mountain and sea. As the journey begins from Tung Chung, you glide away from the city, going higher into the clouds and deeper into the Lantau Island landscape. It's a truly breathtaking 360-degree view. 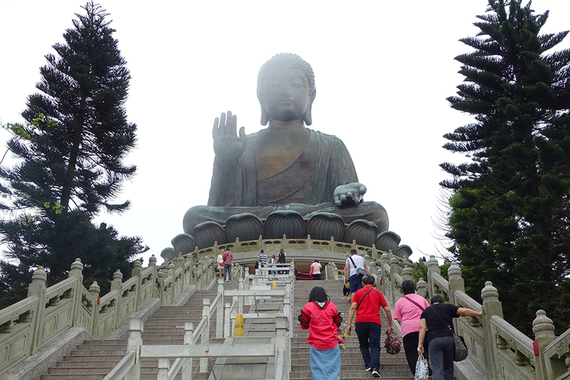 After a short walk at the top, you climb the stairs up to the Big Buddha, which peacefully watches over the land. Next to this is the Po Lin Monastery, with beautiful architecture and stunning lines of incense billowing in front of it. For this trip I would recommend setting off early, as the queues were rather long when I returned back to the mainland in the afternoon. With the city having a very non-stop nature, it's important to find a haven for a moment of calm. I found it in the heart of the city, in the very charming and relaxing Le Spa by Jan. Meeting with Jan herself, she recommended two treatments for me; the 60-minute deep tissue massage and a men's facial. The massage was all encompassing, where I could feel every knot from the flight being relieved one by one. 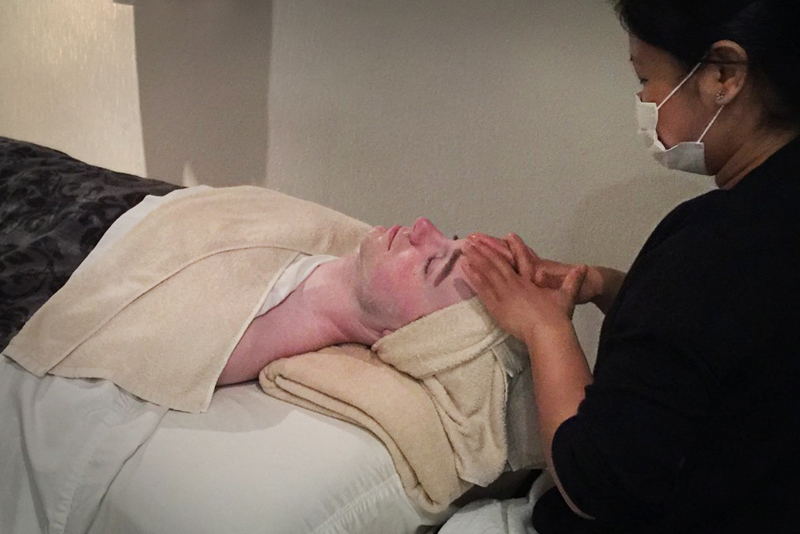 And the facial had a number of stages, leaving me feeling transformed overall and recharged for the holiday ahead. As I mentioned in the beginning, Hong Kong is certainly known for it's skyline, and that's because it is genuinely quite amazing. Every night at 8pm they have the Symphony of Lights, which is named by the Guinness Book of Records as the 'World's Largest Permanent Light and Sound Show'. 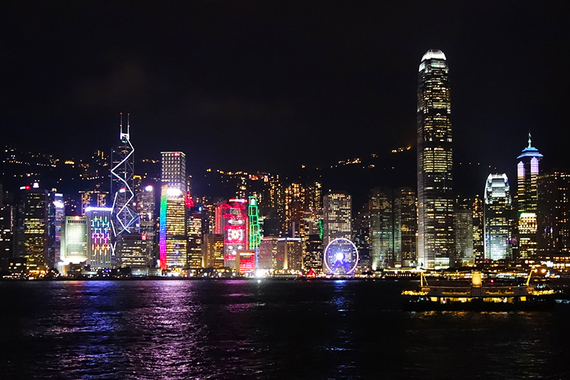 I got a great view from the Tsim Sha Tsui Promenade, which looked back over the water, complimenting the lights with some very uplifting melodies to boot. It lasts around 15 minutes and is a really fun way to celebrate the architecture of Hong Kong.